Grace Lee addresses an audience of about 25 following a screening of her documentary “American Revolutionary: The Evolution of Grace Lee Boggs” at Evanston Public Library on Thursday. The documentary focuses on the life and work of Chinese-American civil rights activist Grace Lee Boggs. 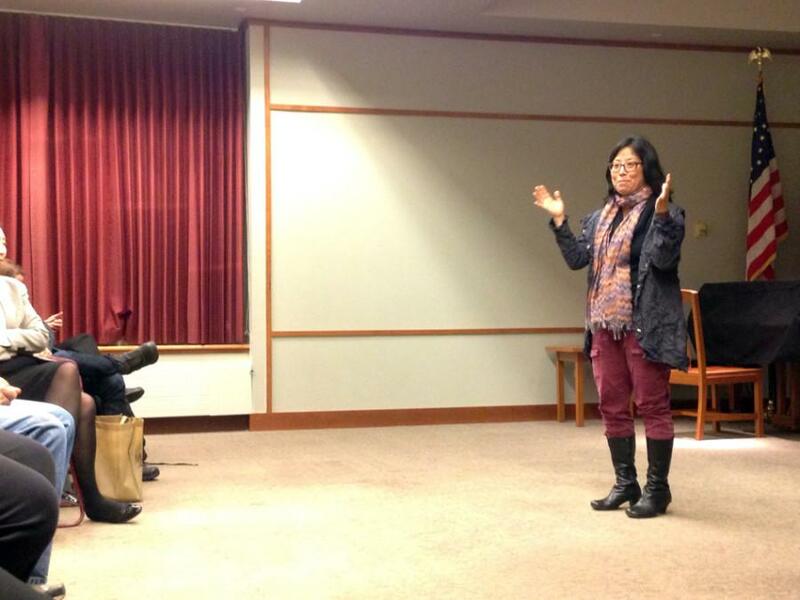 Evanston Public Library and Northwestern’s Asian American Studies Program screened a documentary about a Chinese-American activist Thursday, followed by a Q&A session with the filmmaker. About 25 people attended the screening of “American Revolutionary: The Evolution of Grace Lee Boggs” at EPL, 1703 Orrington Ave. Filmmaker Grace Lee’s documentary, which won a Peabody Award, focuses on the life of Grace Lee Boggs, an activist, philosopher and writer who for 75 years fought in Detroit for the rights of American workers and youth, as well as participated in the labor, civil rights, Black Power and other movements. “I had never met a Chinese-American activist in the black community in Detroit before, and I just wondered: How did she get there?” Lee told The Daily. The film profiled Boggs and the impact of her extensive activism. The 82-minute documentary showed how Boggs, described in the film as a Marxist surveilled by the FBI, first learned about the civil rights movements in 1940s Chicago, when African-Americans protested rat infestation in housing. She later moved to Detroit, the site of race riots in 1967, and began a life fighting for equality. “We had to change ourselves in order to change the world,” Boggs says in the film. History professor Ji-Yeon Yuh, director of the Asian American Studies Program, told The Daily that Boggs is an exemplary grassroots activist. NU’s Office of the Provost and EPL funded the event. Lee answered questions after the screening regarding the filmmaking process. Lee told The Daily she hopes the audience felt a sense of who Boggs really is.